Welcome to Adapting After Emergencies - lessons from Kaikōura and Hurunui. 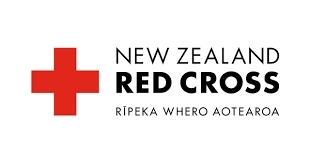 This field trip takes place on 26-28 June 2018 and is supported by New Zealand Red Cross | Rīpeka Whero Aotearoa. Enrol now. Two minutes after midnight on 14 November 2016, a 7.8 magnitude earthquake shook the upper South Island. Shaking lasted for about two minutes. People as far away as Auckland felt the quake. Communities in Hurunui, Kaikōura and Marlborough were the hardest hit. Homes were damaged, water and sewerage systems were cut, and roads and railway lines were closed. Kaikōura was cut off for two weeks until emergency road access was restored. Just 24 hours after the earthquake hit, New Zealand Red Cross staff and volunteers were on the ground to help. Eighteen months on, people living in affected communities are adapting to new routines and lifestyles. This field trip explores some of the ways unexpected events can change communities and our way of life. 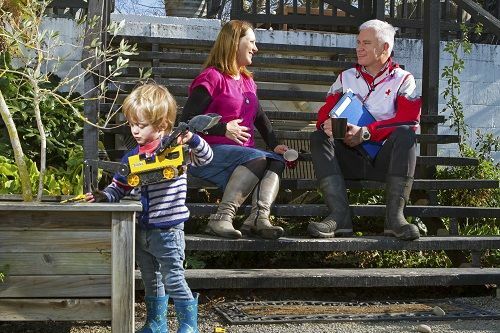 On this field trip you will travel to Kaikōura and nearby rural communities to hear the experiences of people who have lived through a major emergency. They have important lessons to share and stories to be told. This New Zealand Red Cross trip will help you explore questions such as: What happens when emergencies strike? What do people do? How do communities work together? What can we learn from recent natural events? How do we prepare ourselves for future events we can't control? Introduction to Adapting after Emergencies - lessons from Kaikōura and Hurunui from LEARNZ on Vimeo. For this field trip you will fly into Christchurch, then travel north by car through the Hurunui District and along the rebuilt East Coast highway to Kaikōura. You will listen to stories from rural and urban communities. New Zealand has a beautiful landscape created by the turbulent forces of nature. We lie on the 'Pacific Ring of Fire', which means we should expect to experience an emergency caused by these forces during our lifetime. Planning Sequence: an example of how primary schools can make use of all field trip components for a 3-day virtual field trip - Word (652k) | PDF (311k) | Google Doc. Travel day: Join Andrew and the ambassadors as they make their way to the starting point for this field trip. Read the diary about the journey from Kerikeri to Kaikōura, via Woodchester Station in Waiau to see a special wall. Check out the ambassador updates. Theme day 1: The earthquake - Find out why this was a complex earthquake, as well as the damage and land movement it caused. Read today's diary where you find out more about the effects of coastal uplift around Kaikōura. You also meet iwi from Te Rūnanga o Kaikōura and find out about the vital part they played helping locals and visitors immediately after the earthquake. Watch the videos for Tuesday. Check out the ambassador diaries to see what their favourite part of the day was. Listen to a recording of today's web conference. Theme day 2: The roads - Explore what it has taken to get damaged roads back up and running, and how people living along and around them have had to adapt. Read today's diary for the lowdown on NCTIR Village. Today you were also on site at the Ohau Point sea walls project. The day finished with singing an emergency song at Takahanga Marae. Watch the videos for Wednesday. Check the ambassador diaries for their latest update. Theme day 3: The lessons - Hear stories from locals who felt the full impact of this earthquake, and get ideas for coping with similar emergencies. Read today's diary about the final day of the field trip. Watch the videos for Thursday. Check out the final say from the ambassadors. The LEARNZ Team think that joining the NZASE and staying connected through the NZ Science Teacher will help you become a better teacher of science.